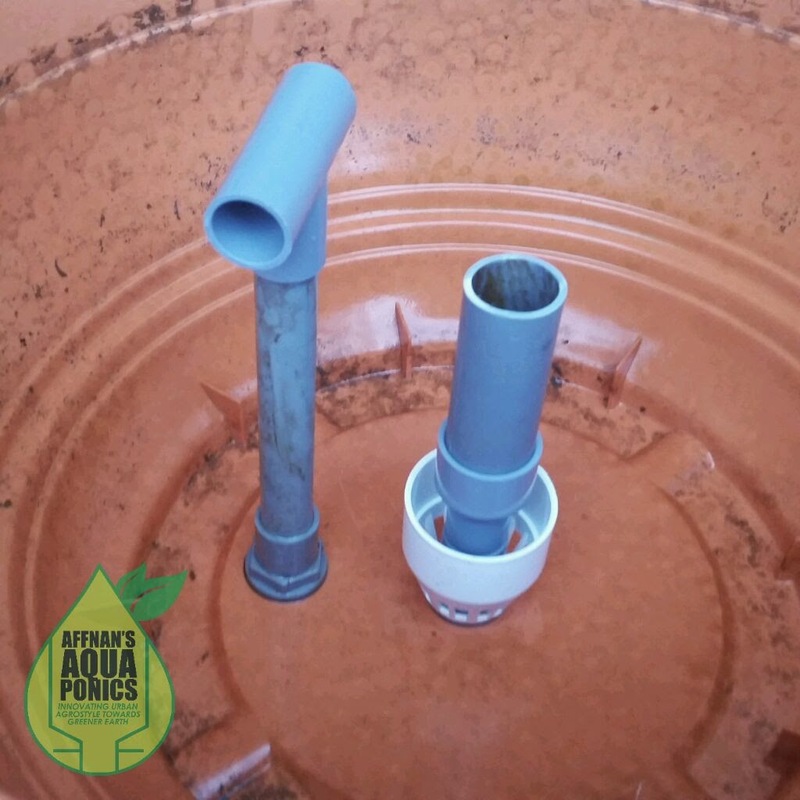 The 25 mm (1 inch) Funnel Bell Siphon was the first siphon that I made after few months of trying out various siphon style to get a good water control of the aquaponics growbed. 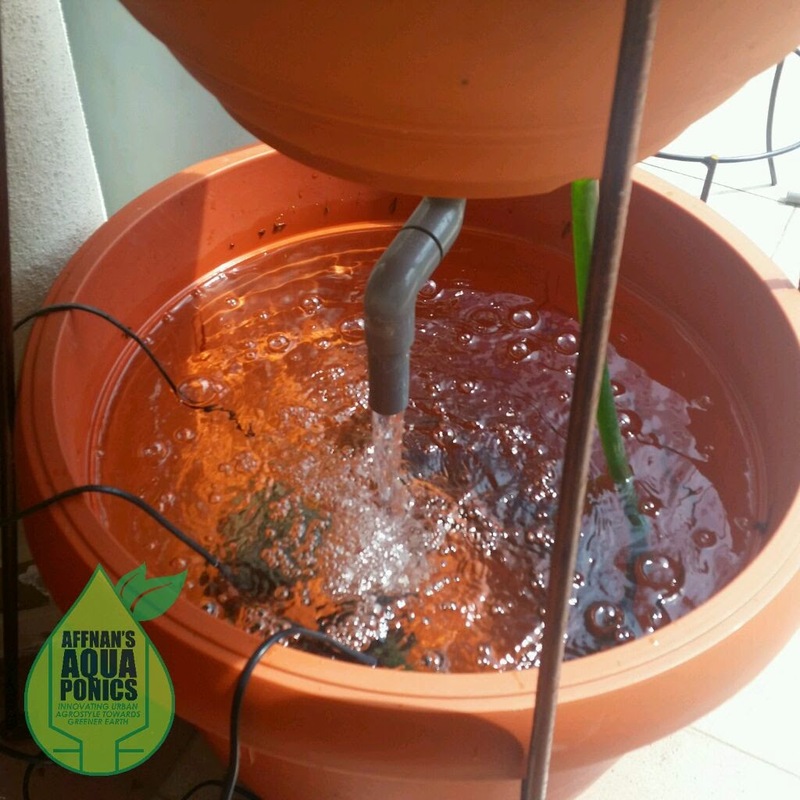 It is reliable in its operation and has made my aquaponics quest a breeze. I later made a smaller 20 mm siphon which are able to do same function as the 25 mm but with less parts, smaller and lighter to shipped. 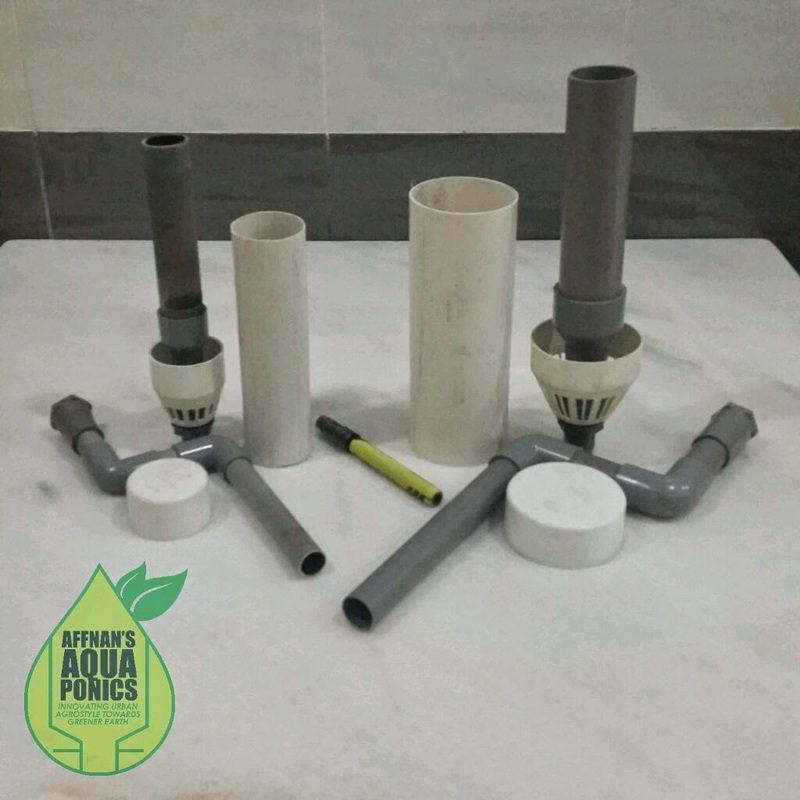 Smaller siphon will requires less water inflow to operates thus making power consumption of the water pump less as compared to its bigger brother. 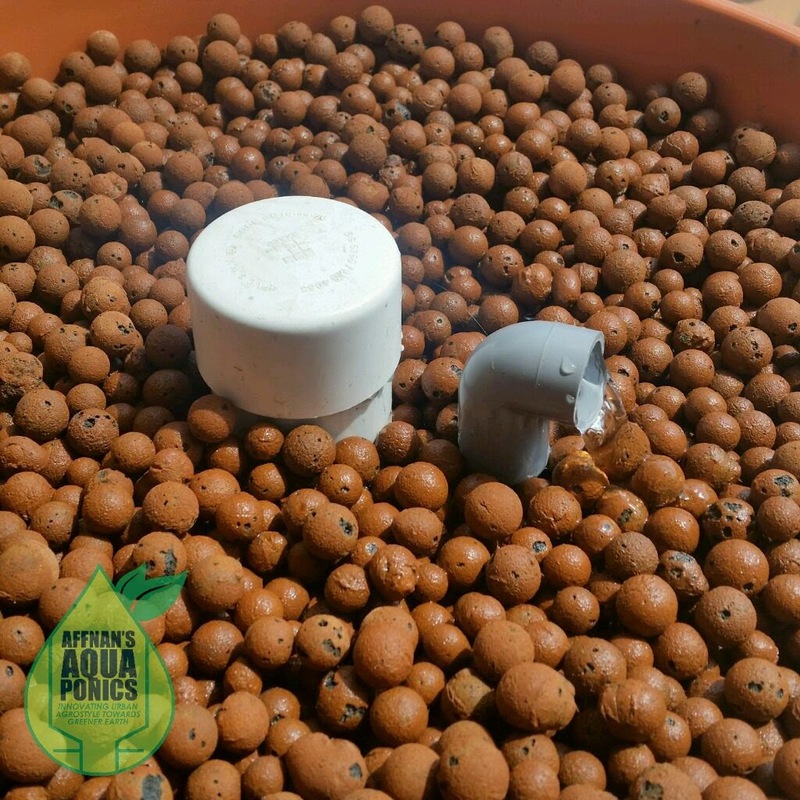 I had been toying with even smaller siphon ever since I started aquaponics, in fact the first siphon that I made make use of 15 mm size stand pipe, however it was without the funnel for that venturi effect making in operationally unreliable. 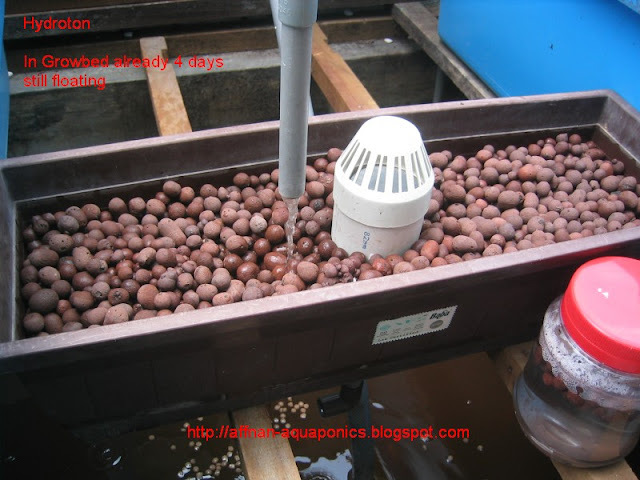 Again the smaller 15 mm siphon was use when I was testing hydroton somewhere early 2010 as here and photo below. 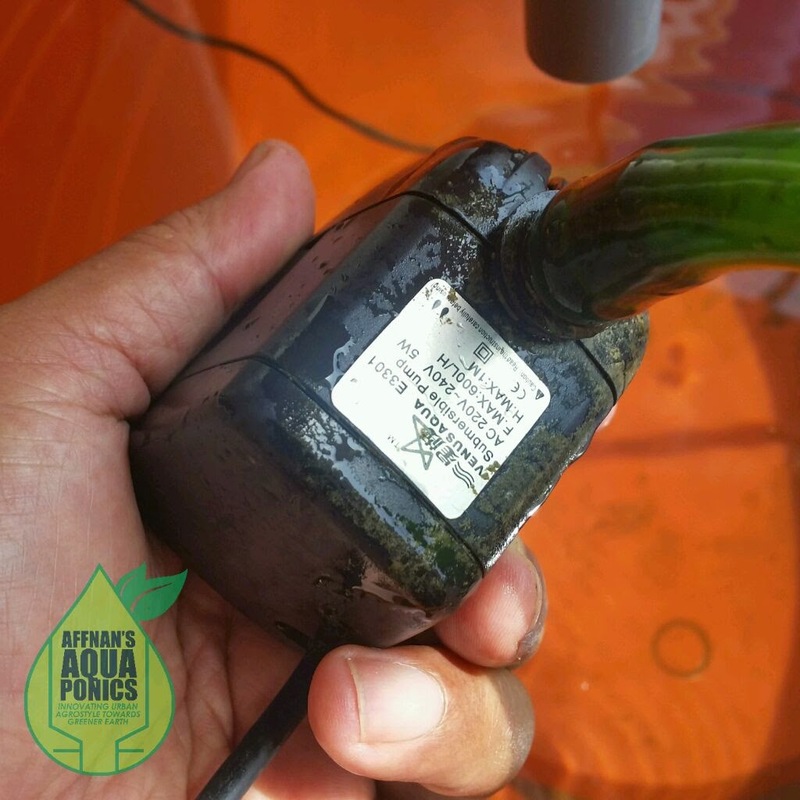 The siphon that I use in the above photo around February 2010 was a 15 mm siphon with strainer and bell enclosure. I did not use this design much because at that time it was very difficult to control. Video of my earlier 20 mm Siphon just as a reference, this siphon has been replace with the current StrainerBell design which is easier and cheaper to make. Since then I had gain more and more knowledge in the operation and tuning of the siphon making the 15 mm size standpipe a viable option again. 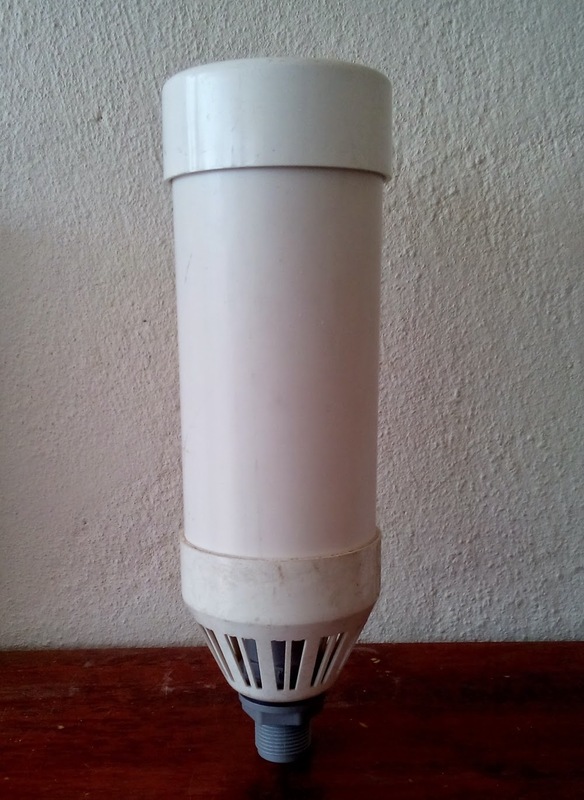 Few days ago I made a Crayfish tank and I decide to make use of the 15 mm siphon, this time it is a StrainerBell design to be use with the tank for water circulation purpose as in photo below. The smaller the siphon, the more difficult it is to get right. This is due to its operational tolerance is very small, e.g. 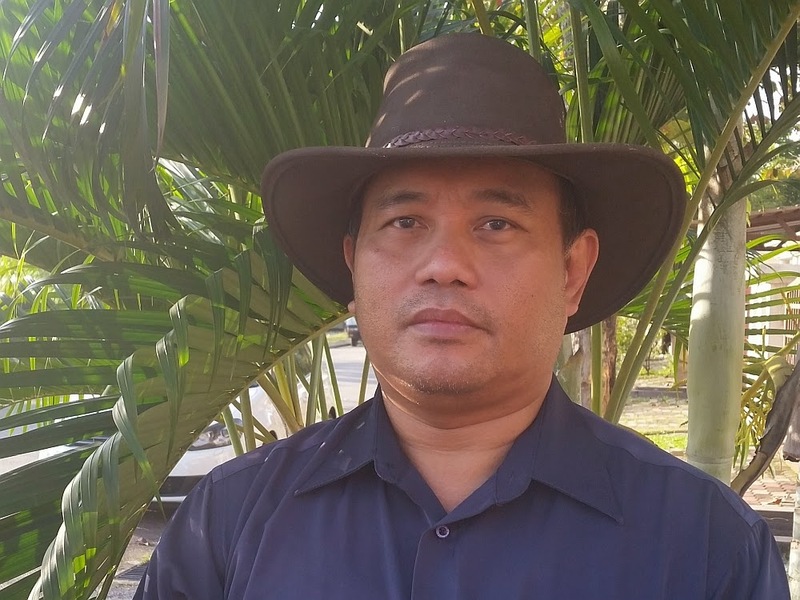 the water inflow required is small and the pump that being use also will be small, if there is degradation of pump in the case of blockage or age then water flow affected thus making the siphon fail to operate correctly. I'm making another 15 mm siphon for my Ornamental set which currently using 20 mm siphon. The main reason why I am keen on trying this smaller size siphon is only for one reason that is for energy saving. 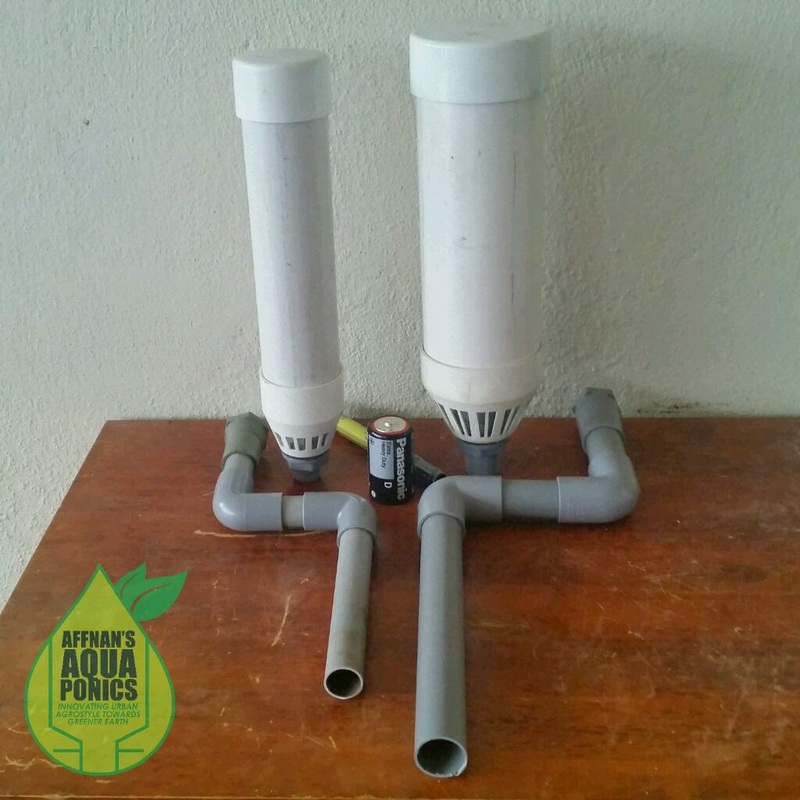 Due to smaller inflow requirement, this siphon will be able to operate with a 5 watt pump, this small power requirement is ideal if we want to be off grid and operates aquaponics with solar energy. 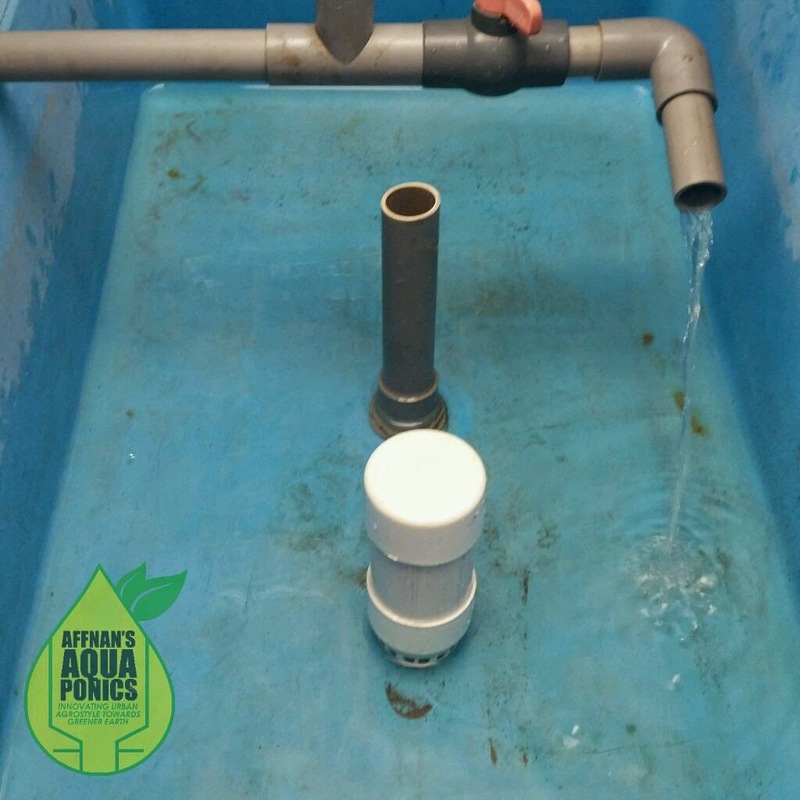 Smaller water inflow also means that we may be able to get the siphon to operates with water from an airlift pump which we could powered by compressed air from a hand pump reservoir or just a tiny aerator which consume even less power. 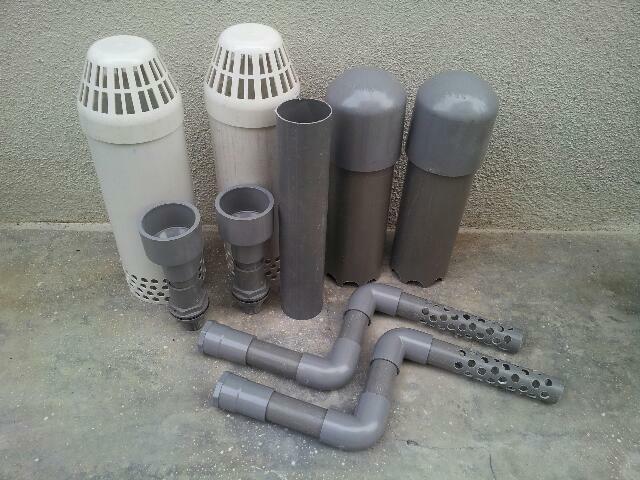 On the left is the 15 mm StrainerBell siphon and the right is the 20 mm, all parts are the same just that it is 1 step smaller. 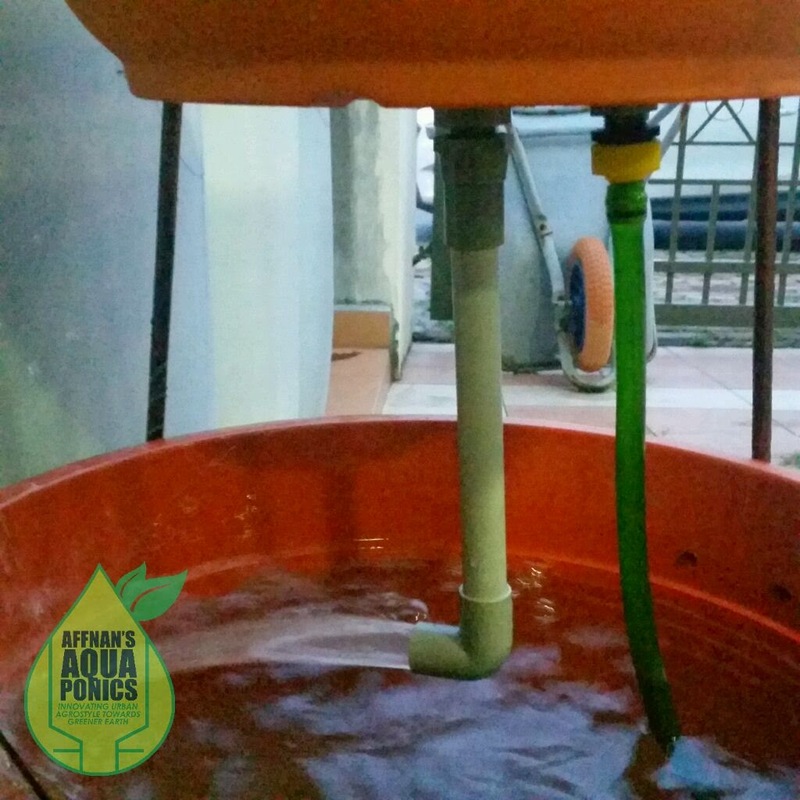 The siphon is installed to my spare Ornamental set for testing, which I need to verify it operational reliability and problems in actual growbed environment for at least six months before I can make any recommendations. Installation is same like the 20 mm, it is just smaller. The extender tube is a 25 mm size then a 25 to 15 mm reducer to do the venturi. Capped and ready to go. 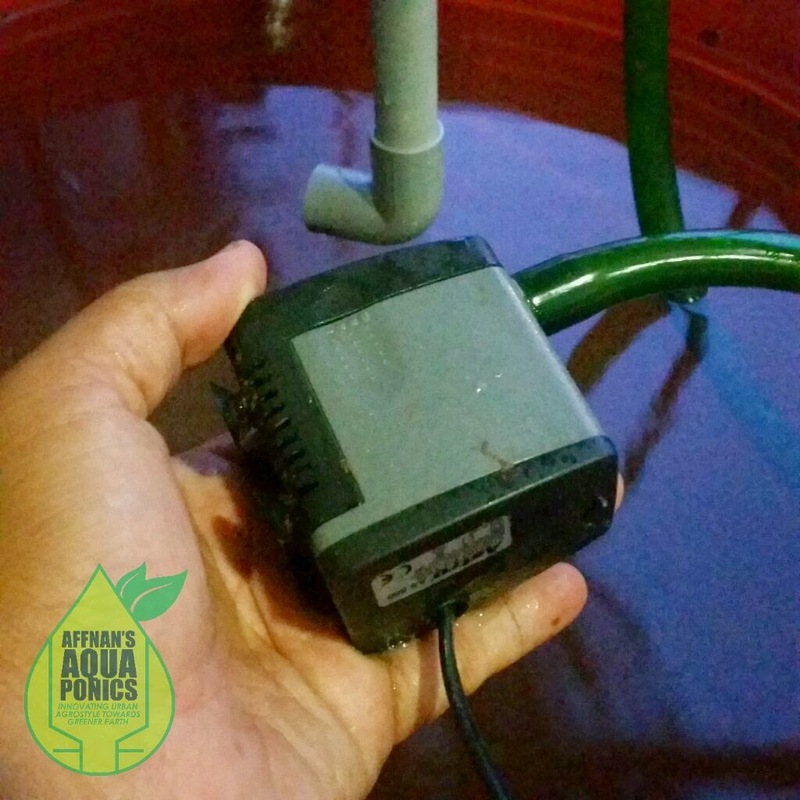 I use as smaller pump, 20 mm siphon uses 1000 liter per hour pump, this 15 mm siphon uses 500 liter per hour pump. 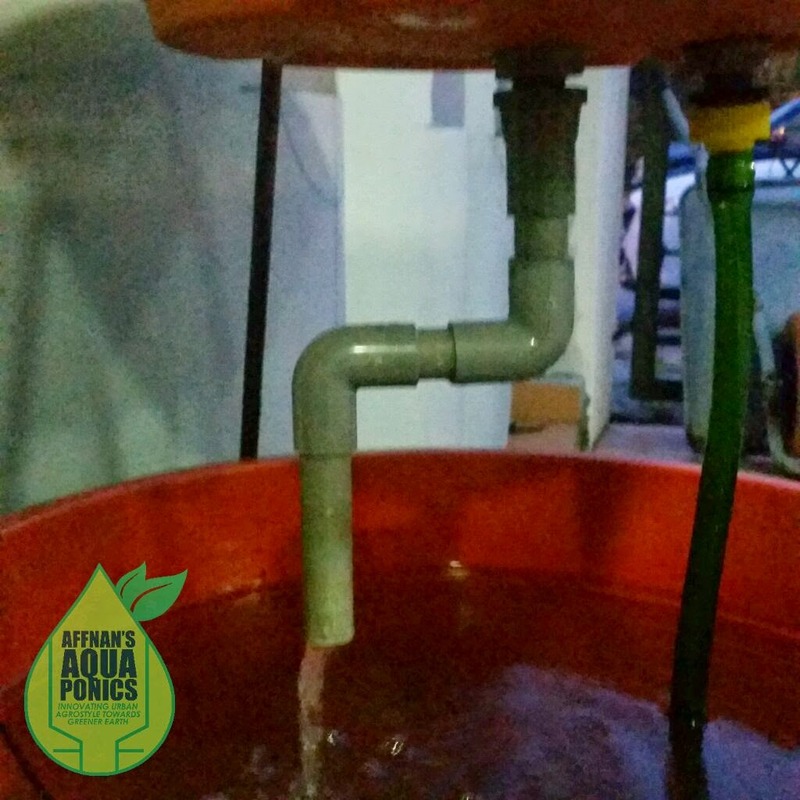 Even at 500 liter per hour with 2 ft head, water inflow is still too much for this siphon. 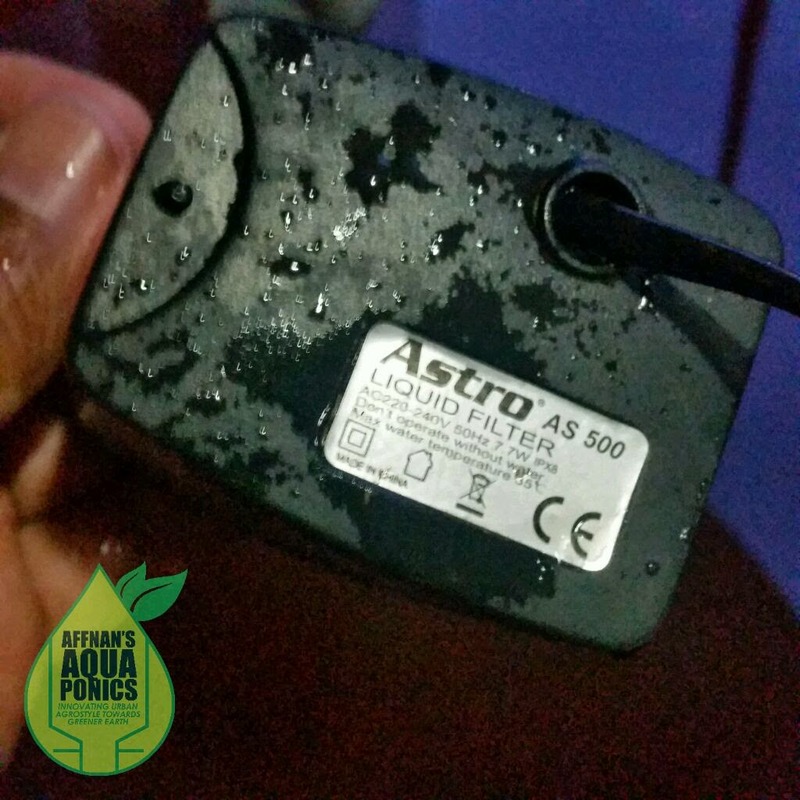 Above pump is rated at 7.7 watt, from my test a 5 watt pump is sufficient. 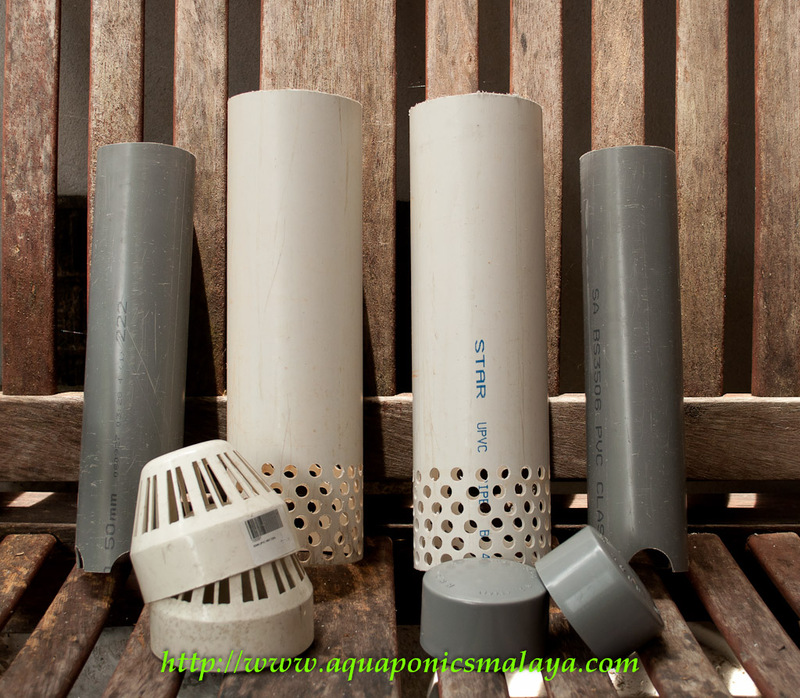 This 15 mm siphon can do growbed size up to 10 sq ft.
5 watt x 24 hrs x 30 days = 3.6 kwh which will cost about RM 1.30 (USD 0.42) per month of operation. 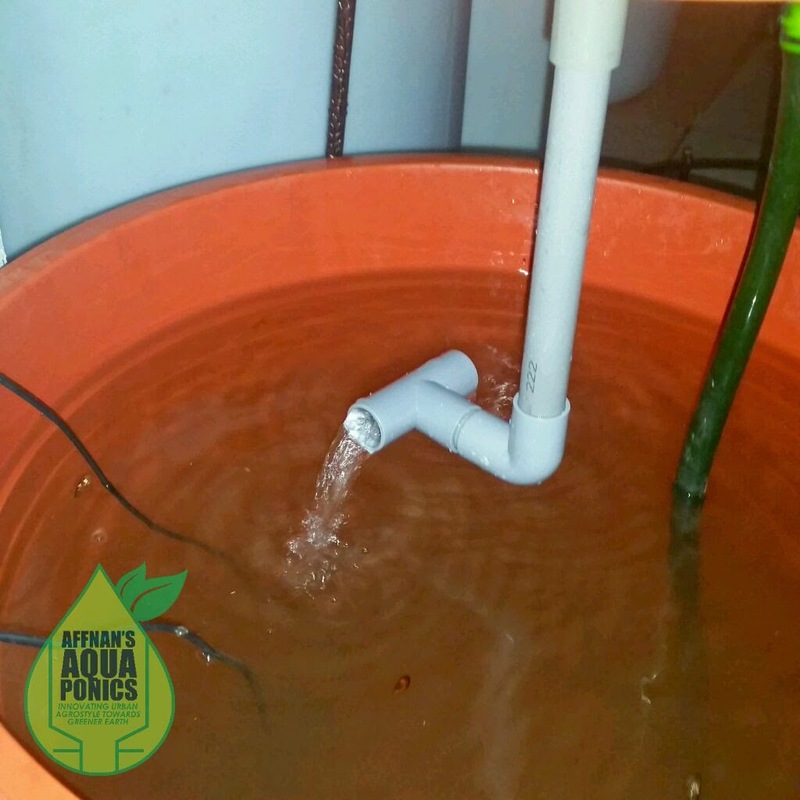 It work out that on average this 15 mm siphon requires 1/2 watt of electricity per sq ft of growbed space. Siphon top part is fixed in its design and tuning it can only be adjusted to set water level, what left is the outlet to be tune. Like a two stroke bike, the entire air path need to be tune for optimum operation, which will include air intake right down to the exhaust chamber for balancing the airflow. Siphon is the same, we will need to tune it making an optimum water path and since the inlet part is already fix what's left will be the outlet part to be adjusted to suit. As a baseline design, standard double elbow arrangement works in most cases, but it has its limitation, if water inflow above or below the baseline for the siphon, the outlet needs to be modified. Below are various outlet style that I am trying to get the optimum operation with water inflow more than what is needed. Few more as follows, it is for illustration only. Each of these will require a long explanation of why it is that way. 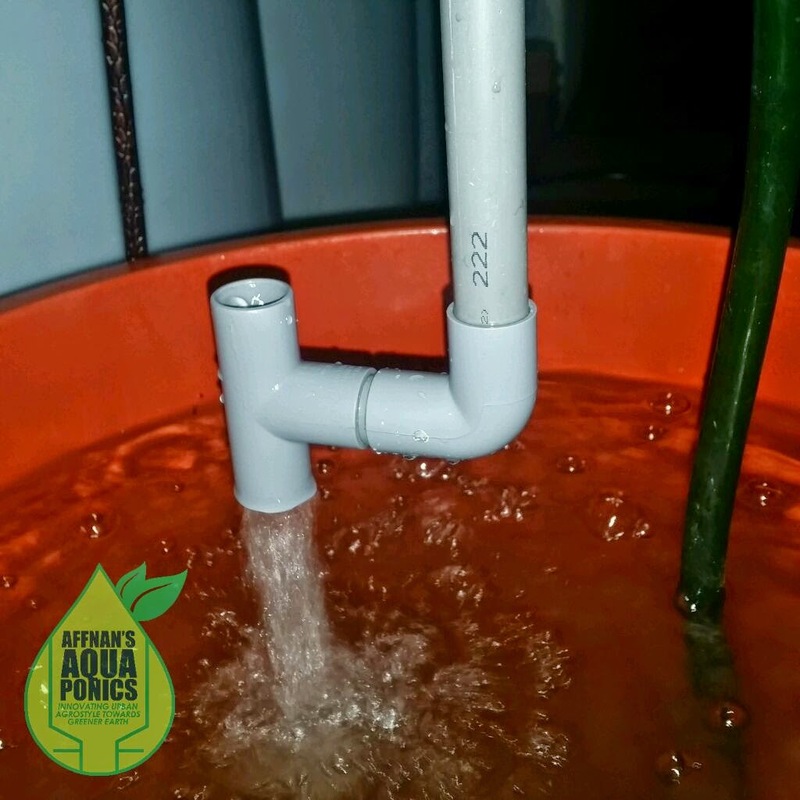 Each outlet is tailored to specific condition of what we want to do to the siphon, either to reduce noise, to increase aeration or to compensate for too much or too little water. There is more that the above design of outlet that I am currently testing for this 15 mm StrainerBell siphon and so far it's holding fine after few hours of operation. Now let see whether it can still hold after six months. It works very well, I use in on my gutterbed. Being small it need to be clean more often as compared to the 25" bell siphon. I use bottle brush to clean it, a simple process.